We’ve invested billions of dollars to develop a large queue of assets ranging from vast new natural gas projects to reinvigorated century-old oil fields. And we’ve set lofty, but achievable goals for these assets – strengthening our base business, keeping our new assets on line and growing production. How do we ensure that our assets deliver on their potential? Chevron’s answer is “asset reliability,” which involves advancing and automating our operations by using existing, emerging and yet-to-be-developed technologies and workflow enhancements. It involves generating better data that our software can convert in real time into useful information – enabling us to operate more safely, reliably and efficiently; reduce costs; recover more resources; and better manage risks. Watch how fiber optics technology works. 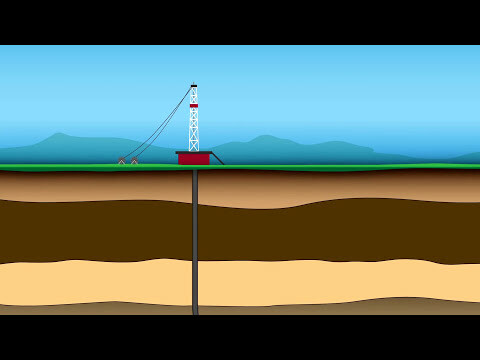 We’re dedicated to the safe operation of our wells, wherever we drill. That’s why our Drilling & Completions Decision Support Center (DCDSC) plays a critical role in maintaining process safety as the No. 1 focus. At the center, experienced drilling experts are immersed in 360 degrees of live data monitoring for all of Chevron’s most complex wells. Employees are available 24/7 to monitor trends and provide support for drilling, data collection and modeling. The DCDSC team partners with our business units (BUs) to provide a second set of eyes to assist rig crews. This real-time monitoring ensures that we use the best available data to monitor critical activities and provides an added layer of safety for our global upstream drilling operations. Go inside Chevron's Decision Support Center. The Drilling & Completions Decision Support Center uses many tools to help business units save time and money on their drilling operations. The Geosteering Workflow provides our geologists in factory environments – where we plan and drill a large number of similar wells at a given time – with the ability to give directional input on multiple wells from a remote location with the same efficiency as if they were operating on a rig. The workflow utilizes real-time data to provide faster communications and collaboration between the geologist and the rig, leading to quicker, better decisions and improved drilling performance. It shortened the time needed to communicate wellbore position at operations in the eastern United States, enabling us to achieve major improvement on the placement of the reservoirs’ wellbores. The Automated Activity Analysis workflow enabled the team on our Pacific Santa Ana drillship to achieve savings of more than $1 million in just three months by reducing its tripping time – pulling the drill string from the wellbore and running it back in – while maintaining safe operating practices. In Houston, Texas, Chevron’s Machinery and Power Support Center (MPSC), managed by our Energy Technology Co. and our Power and Energy Management group, improves Chevron’s reliability and efficiency by remotely monitoring about 1,400 pieces of rotating equipment on six continents in real time, using predictive models to help identify and anticipate potential failures or maintenance needs and avoid potential shutdowns. Working in collaboration with our business units and their monitoring hubs – called Equipment Decision Support Centers (EDSC) – the MPSC not only identifies emerging problems but can offer diagnostic and engineering support to any facility. Case in point: the MPSC team recently noticed a high level of turbine oil consumption in a gas compressor train at an operation in Thailand. After alerting the EDSC, an inspection revealed an issue with a pump. This led to a manual shutdown, during which the pump was safely replaced. The preemptive action prevented early equipment failure and avoided lost production. Go inside Chevron's Machinery and Power Support Center. Finding new applications for existing technologies helps us meet our long-term goals for our base business, new assets and new projects. At the Marcellus and Utica shale plays in the eastern United States, we’ve successfully deployed fiber-optic technology in two horizontal wells – the first time we’ve applied the technology in this way. Installed with production casing and cemented in the well, fiber optic provides real-time surveillance data during well completion and offers long-time surveillance benefits throughout the life of a well. Collaboration by multiple teams from different functions was key to applying the technology in deep, complex wells measuring more than 14,700 feet in length. The payoff is in improved key business decisions in an aggressive, cost-conscious drilling and completions program – leading to more effective completion practices, improved well integrity, and increased long-term production from our unconventional assets. Resembling NASA Mission Control, the Refinery Optimization Center (ROC) at our El Segundo (Calif.) Refinery is a high-tech, 38,000-square-foot control room designed to centralize the plant's operations. With its 36 big-screen monitors, 24 miles of communications cables, seven miles of fiber optic cable, and two miles of copper electrical systems, the ROC enhances the refinery’s efficiency, environmental stewardship and reliability. The ROC churns input from refinery operators who use handheld devices to collect and analyze equipment surveillance data, helping to confirm that everything is working properly. The Chevron Pipe Line Control Center is Chevron’s center of excellence for pipeline remote operations, field control systems, and commodity measurement. Using real-time data via a SCADA system (supervisory control and data acquisition), controllers provide around-the-clock remote monitoring and control of pipeline transportation operations. The control center’s mission is to safely and reliably move crude oil, refined petroleum products, liquefied petroleum gas, natural gas, and petrochemicals in support of Chevron’s Upstream and Downstream operations, as well as for third parties. New technological developments in thermal imaging cameras and the application of real-time transient models to existing pipeline systems have broadened leak detection capabilities. Intense training and strong operational discipline ensures that the control center delivers on its responsibility to quickly mitigate any abnormal operating condition and support safe and reliable pipeline operations. Delivering energy to the world requires a wide range of technologies and the best and brightest minds to develop them. At Chevron, we employ thousands of technologists, but membership in the Chevron Fellows is reserved for those whose contributions are best described as visionary. Paul Siegele, chief technology officer at Chevron, introduces the Chevron Fellows who are working to meet the world’s energy demand – now and for the future. The Chevron Fellows are the best and brightest technical minds in the company. Through the Mentoring Excellence in Technology program, the Fellows help to prepare the next generation of technical specialists at Chevron. Today, there are about 30 active Fellows working within the company. This group of experts works across various disciplines, but each uses the power of technology to face new challenges and pursue innovations in the energy industry. We have a strong commitment to safe, environmentally sound operations in all of our businesses. Our technology strengthens this commitment. Creating a center to monitor our complex wells enhances our focus on safe, environmentally responsible performance. Other automated monitoring operations will ensure that our large equipment runs safely and presents no environmental risk, whether the facility is an oil rig or a refinery. And by using fiber-optics technology to improve our cementing and completion practices and well integrity, we add another level of safety and environmentally sound drilling practices to our shale and other unconventional asset operations. We have a long history of innovating in our use of automation and other new technological initiatives. We pioneered the integrated field, or i-field®, an operational transformation philosophy driving enhanced and optimized operating processes. More than a decade ago, our original i-field® effort in North America delivered hundreds of millions in cost savings and improved output. Since then, we’ve turned fields and facilities into i-field® laboratories, incubators and proving grounds to transform and reinvent workflows. Today, automation is optimizing what we do across our operations. It’s helping to increase productivity, streamline projects, cut costs and add to our reliability. This trend will continue to support our base business, new assets and new projects. And as we integrate more elaborate technological solutions into our operations, we’ll gear up for new targets while keeping a constant focus on asset reliability.